Create stencil letters out of any installed true type font. The program will insert apertures so that the letters stay connected when you cut it out. 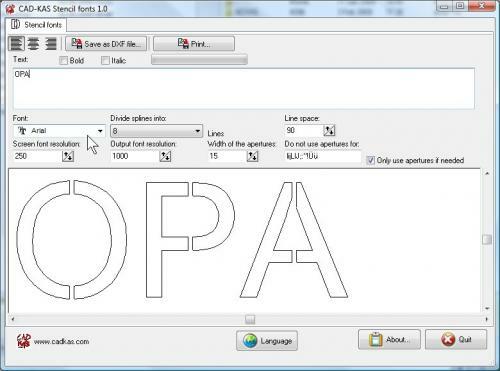 You can print or plot the letters or export the letters as DXF file. 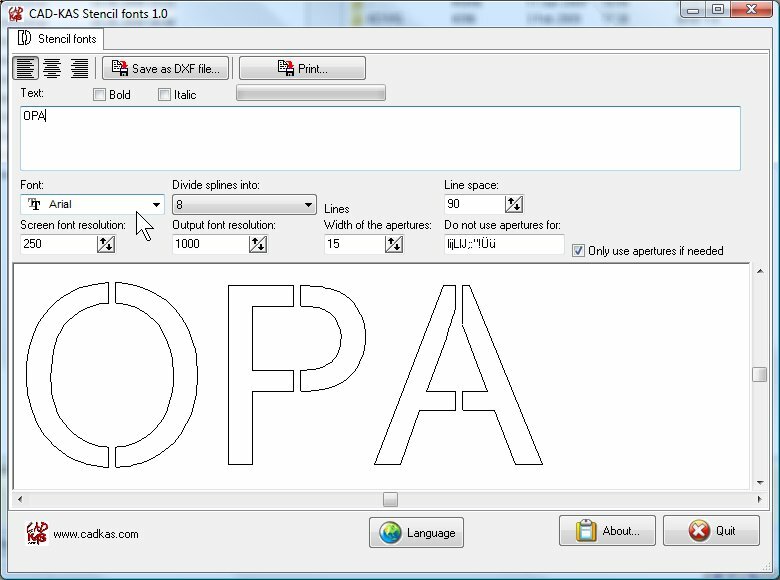 If you need more functions take a look at our Font 2 DXF and G-Code. Order the full version now - only $29!